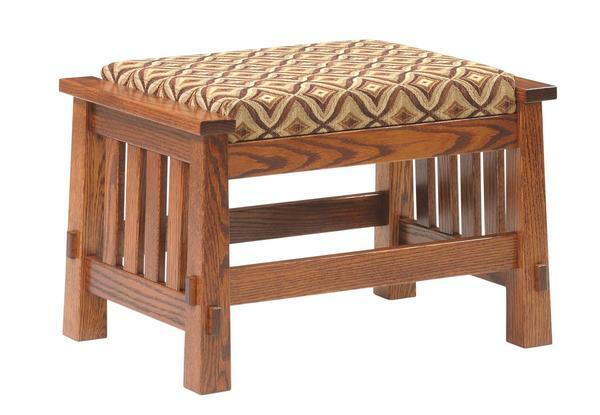 As a great part of the Fredericksburg Collection, this beautifully constructed ottoman is customizable in choice of woods, finishes and fabrics-allowing for a true tailor-made piece and experience. This piece is made with mortise and tenon construction, ensuring many years of enjoyment. Our Amish furniture is built to last! With it's sleek yet blunt lines, the Mission style works well with any decor and will be a welcomed addition to your home. We use this product every day, and have received so many compliments. Although it was not an inexpensive purchase, it was worth every penny. I expect that we will have this item for many, many years to come.